With nine individual activities for kids aged 5-12 years, the Double Dutch commercial playground structure is ideal for a multifamily community park, school playground, or anywhere that children need to be kept busy having fun! This structure provides ample climbing and sliding adventures for older kids, and gives them the opportunity to develop their physical skills and fitness in a fun way. 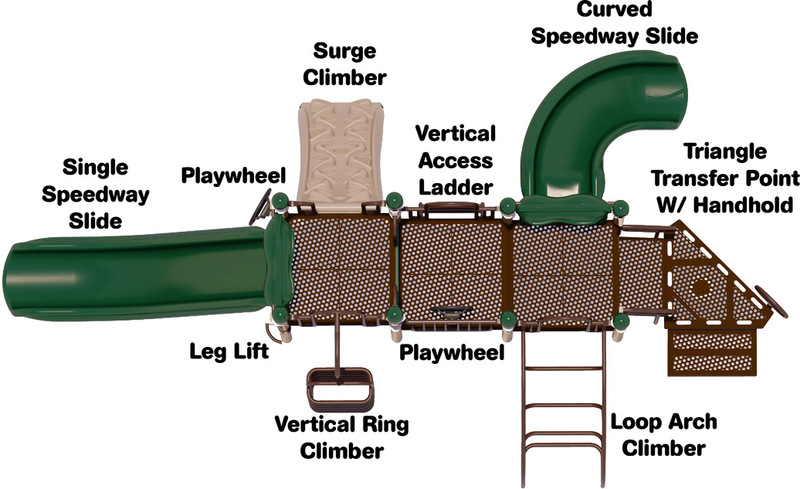 The Surge Climbing Attachment is a perennial favorite for children of all ages as it simulates true rock wall climbing with age appropriate modifications. And they love the Curved Speedway Slide. Upright posts are powder-coated to customer color specifications, and are backed by a Lifetime Limited Warranty. All plastic components and punched steel decks are guaranteed by a 15 year limited warranty. 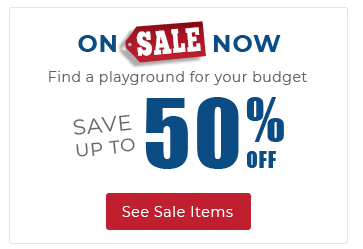 Metal pipes, rungs, loops, and rails come with a 50 year limited warranty. 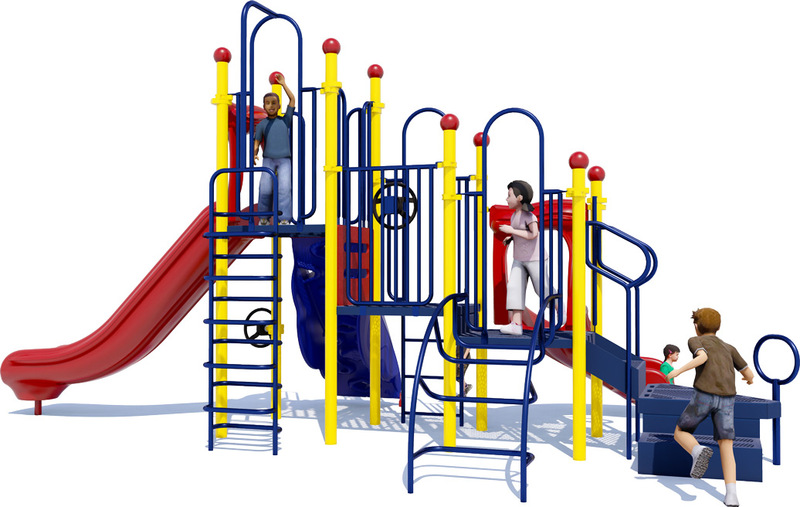 The structure is ADA accessible, and meets or exceeds all requirements from the American Society for Testing and Material (ASTM) and Consumer Product Safety Commission (CPSC). 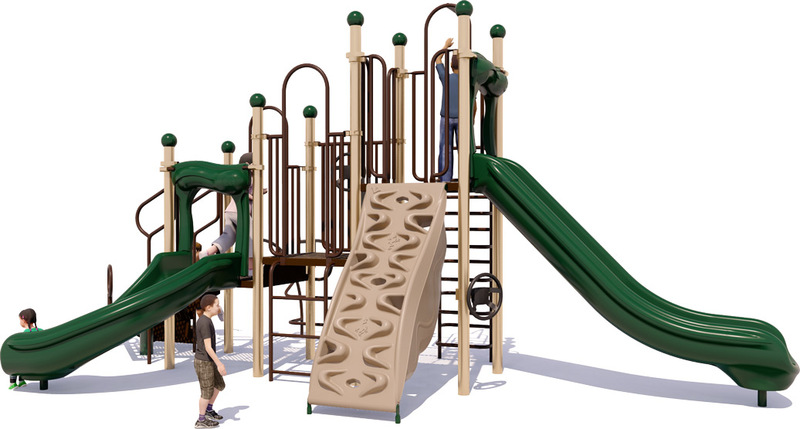 2 Slides, 3 Climbers, 2 Playwheels, And More!